Tottenham will announce a new signing within a matter of days, according to ESPN. 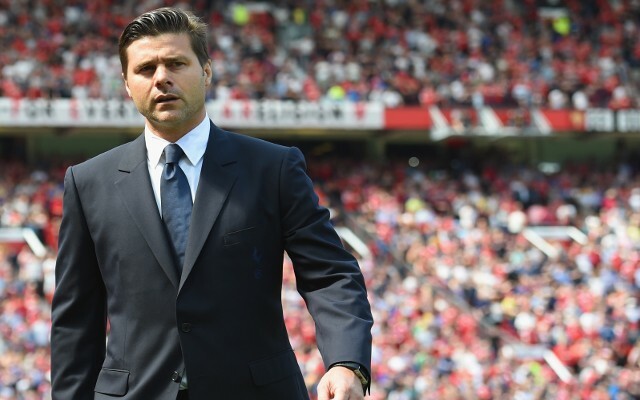 White Hart Lane boss Mauricio Pochettino has done well to trim his expansive squad with the likes Paulinho, Etienne Capoue, Benjamin Stambouli, Lewis Holtby, Younes Kaboul and Vlad Chiriches having all left the North London club this summer. ESPN claim the new addition set to be made by Pochettino will be a striker and the same source then introduces three players who interest the Argentine manager. QPR forward Charlie Austin is one possible addition. The forward bagged 18 Premier League goals for a side that finished bottom of the table, started the Loftus Road side’s opening Championship fixture as the West London side lost away at Charlton Athletic. ESPN believes Pochettino is interested in the 26-year-old, who has a £15m price-tag (via The Daily Mail), and note that Tottenham would have to pay £20m to bring in another target, West Bromwich Albion’s Saido Berahino. 22-year-old Baggies star Berahino scored 20 goals last term and received a call-up to Roy Hodgson’s England national team set-up as a result of his good efforts, before taking part in this summer’s European Under 21 Championships. The third target named by ESPN is Stuttgart teenager Timo Werner, the only one of the three players on the Spurs wish-list with no Premier League experience. Pochettino’s interest in fresh striking options is no surprise given the lack of support young forward Harry Kane received from Tottenham’s more senior marksman last term. Kane bagged 31 goals in all competitions last season whilst Emmanuel Adebayor, Roberto Soldado and Erik Lamela managed just five Premier League goals between them in 2014/15, making a mockery of their hefty wages and eye-watering price tags.